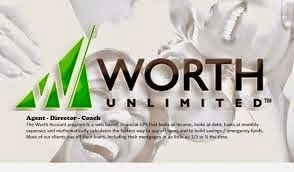 Worth Unlimited: Problems Don't Have To Rob You of The Victory! Moses retold the story of the spy mission into the promised land. When the spies returned with reports of giants and walled cities, the people were afraid to move ahead and began to complain about their predicament. But the minority report of Joshua and Caleb pointed out that the land was fertile, the enemy was vulnerable, and God was on their side. We become fearful and immobile when we focus on the negative aspects of a situation. How much better it is to focus on the positive. When we're confronted with an important decision and you know what you should do, move out in faith. Focus on the positive while trusting God to overcome the negatives.